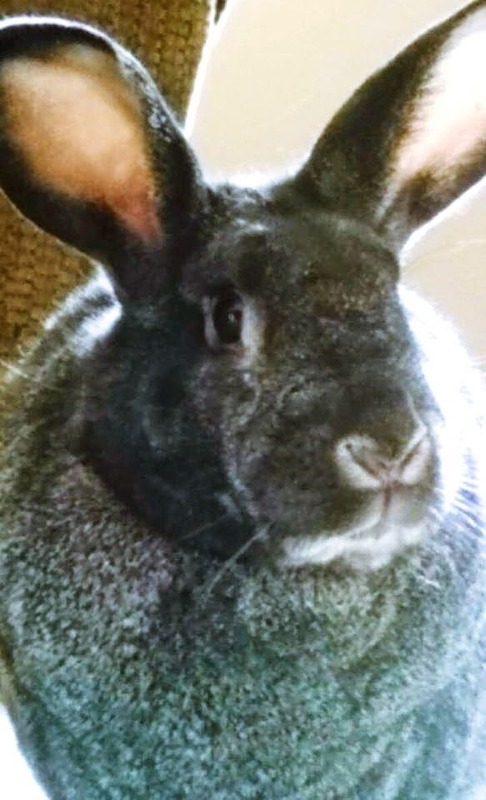 Gabrielle's Zoey crossed over the Rainbow Bridge last Thursday :-( He was a gallant, first class disapprover and we miss him dearly. Our condolences and best wishes to Gabrielle. PS: Correction - hoomin called Zoey a 'she'. 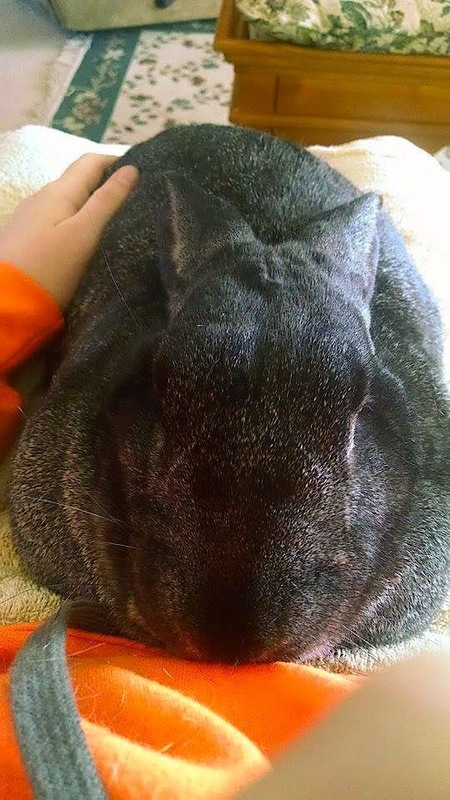 Zoey was a grand Gentle Bun not a girl. The silly hoomin shall be canned as soon as a proper replacement is found. Indeed, just as Fleetie said. Gabrielle, thank you for giving Zoey the opprtunity to be Zoey. Can you imagine her life without you? 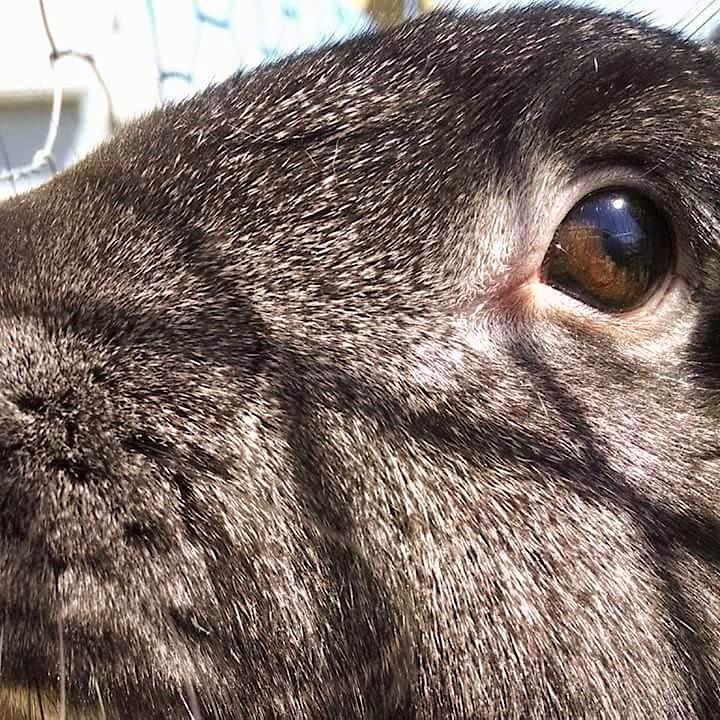 Thank you for giving this bunny a chance to know what it is to be truly alive, to be loved and to love, to know and be known. Thank you for healing the livingness of this world and for sharing with us. Be of good cheer. Your precious Zoey is just fine. 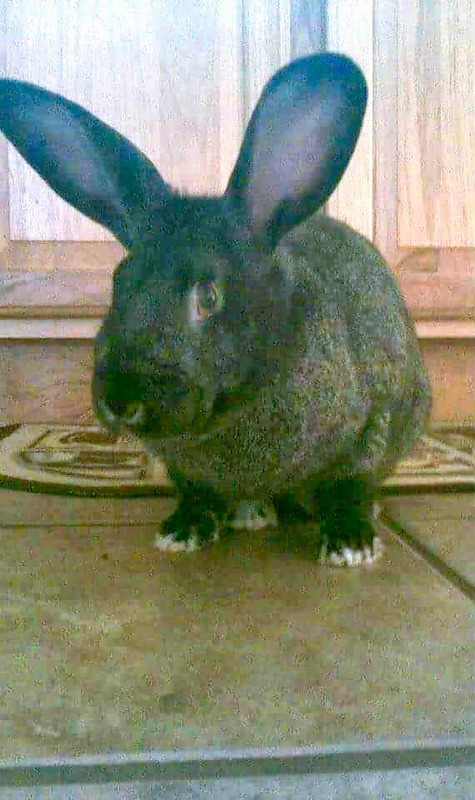 He was a gorgeous bun, and now he will have all the treats and romp time he wants up in the Big Garden! Peace, Gabrielle and comfort to your heart. We had a Zoey too. Zoeys are hard to say good bye to. 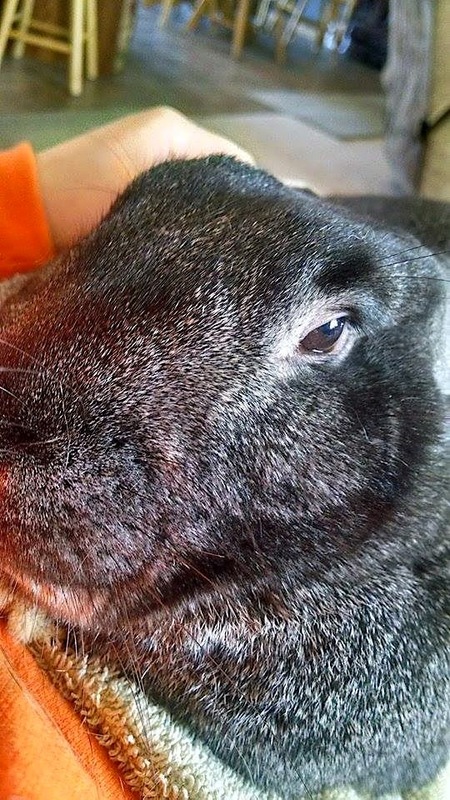 Well, whichever gender, Zoey was a very attractive, fine rabbit. 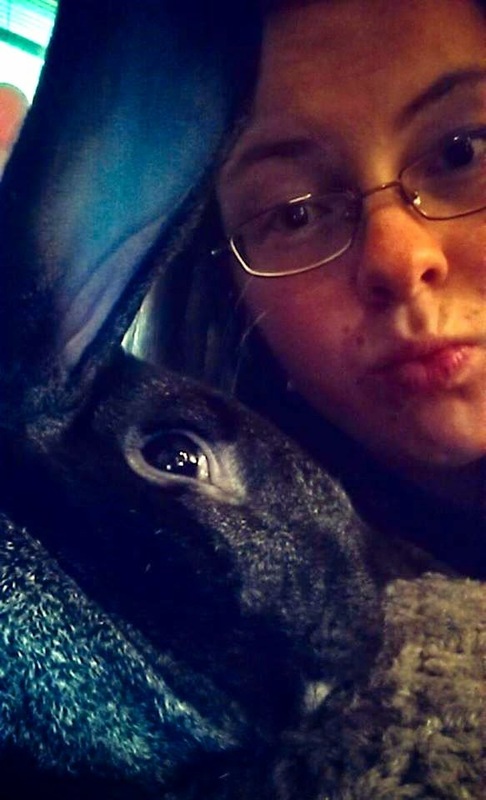 I can't imagine the pain of losing a loved bunny. 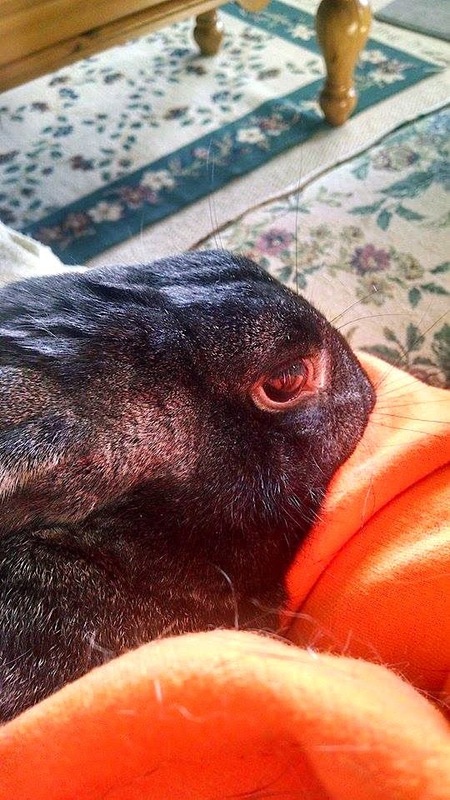 I've never been a bunny-servant-hoomin. 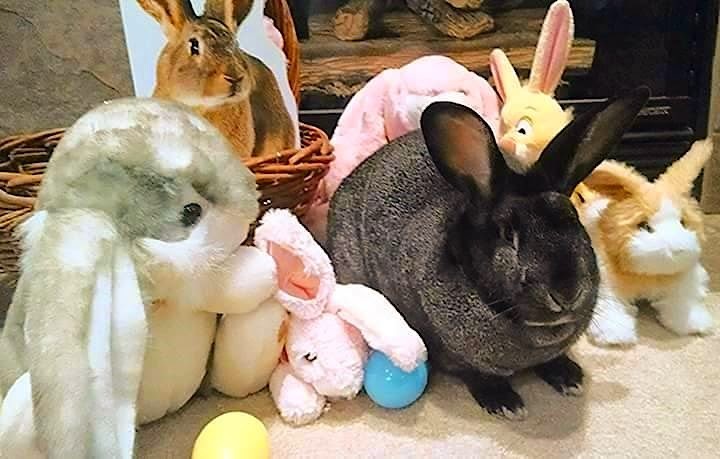 I can tell that Zoey was a very loved bun, and quite deservedly so. Zoey was lovely. So sorry for your loss.